In the wake of the passing of someone who made an impact on the people around them, there is sometimes a contest to shape the memories and legacy of that person. The bigger the impact—be it good or bad—the greater the contest, and it should come as no surprise that those closest to Steve Jobs are fighting to shape his legacy. Steven Levy put it best in a piece over the weekend titled, "The War Over Who Steve Jobs Was." It's a great read about Brent Schlender and Rick Tetzeli's biography Becoming Steve Jobs: The Evolution of a Reckless Upstart into a Visionary Leader (Amazon, iBooks). More specifically, Mr. Levy, an excellent journalist who interviewed Steve Jobs many times over the decades, offers his thoughts on the book and whether or not it does a better job of portraying Steve Jobs than Walter Isaacson's Steve Jobs. Unlike Apple's executives, Mr. Levy isn't overly critical of Walter Isaacson's work, but he does believe that Becoming Steve Jobs offers an additional take that will bring additional nuance to the study of Mr. Jobs. In so doing, Mr. Levy is himself taking part in the battle to shape Steve Jobs's legacy—it's what we humans do, and there's nothing wrong with it. But discussing the topic in our morning meeting at TMO Towers—and again with Dave Hamilton and Jeff Gamet in Monday's TMO's Daily Observation podcast—something crystallized in me about Steve Jobs's inner circle. 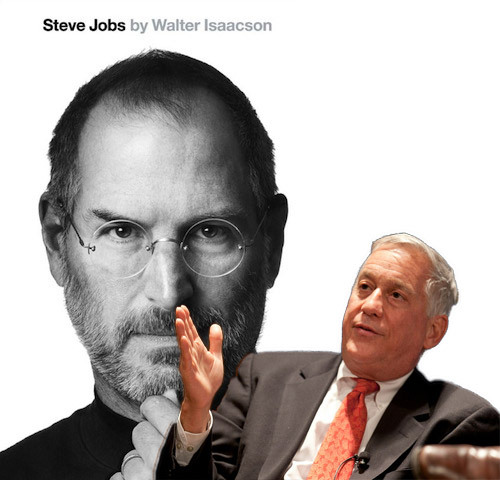 Apple CEO Tim Cook, Apple's King of Design Jony Ive, and Apple's lead negotiator Eddy Cue have all been critical of Walter Isaacson's book. Sir Jony Ive said in an interview, "My regard couldn’t be any lower" for it. Eddy Cue recently tweeted that Becoming Steve Jobs was the first portrayal "to get it right." The person I read about [in Walter Isaacson's book] is somebody I never would have wanted to work with over all this time. Life is too short. [...] He wasn’t a saint. I’m not saying that. None of us are. But it’s emphatically untrue that he wasn’t a great human being, and that is totally not understood. All three of these executives gave interviews to the authors of Becoming Steve Jobs. Pixar’s creative head honcho John Lasseter, Disney CEO Bob Iger, Steve Jobs’s widow, Laurene Powell-Jobs, Steve Jobs's right hand and former absolute ruler of Apple PR, Katie Cotton, and Pixar CEO Ed Catmull also gave interviews. According to Steven Levy, Mr. Catmull's authorized quote for Becoming Steve Jobs is, "I hope it will be recognized as the definitive history." Mr. Levy also noted that some of these folks weren't necessarily keen on cooperating for the biography, but did so at the urging of the rest. It's like they all want to set the record straight, but of course that's the record from their perspective. And that has had me thinking since the excerpts from Becoming first made the rounds earlier in March. Why is it that these folks dislike Walter Isaacson's book so much? I loved Steve Jobs. I like Walter Isaacson's work, period. His newest title, The Innovators, is an amazing read. I also thoroughly enjoyed Benjamin Franklin. It's not because Mr. Isaacson is a great writer, because he isn't. His gift in putting people in context, and not just the main subject of his biographies. He has this excellent ability to give color to even the smallest bit players who touched his main subject's life. As someone who obsesses over context as the only way to truly understand people and events, I truly appreciate Walter Isaacson's work. And it bears repeating that of all of the biographies ever done on Steve Jobs, Walter Isaacson's is the one that was made not just with Mr. Jobs's blessing, but at his request. Steve Jobs pursued Mr. Isaacson and gave him unprecedented access to his life and his job. He did so, according to quotes in the book that have never been disputed, because he wanted his story told accurately. He wanted his kids to know more about who he was. So why the full court press from Steve Jobs's inner circle to set the record straight? I think at least some of it comes from the reality that Walter Isaacson's biography challenged their devotion to Steve Jobs. To be sure, I've never sat down to a meeting with Tim Cook or Steve Jobs. I've exchanged emails with some of the other players in this after-story, but I don't know any of them. But when you know and love someone, you see them through your eyes—even when that someone is a larger-than-life figure like Steve Jobs. And when you then get shown an image of that person that isn't filtered through your own memories and experiences—especially when time has done its magic of erasing the hurt and amplifying the love—it can be difficult to deal with. I'm not saying there's anything wrong with Steve Jobs's inner circle coming to the defense of his memory. There is room for every perspective when it comes to someone like Steve Jobs, and hearing more from those who were closest to him is good for students and fans alike. 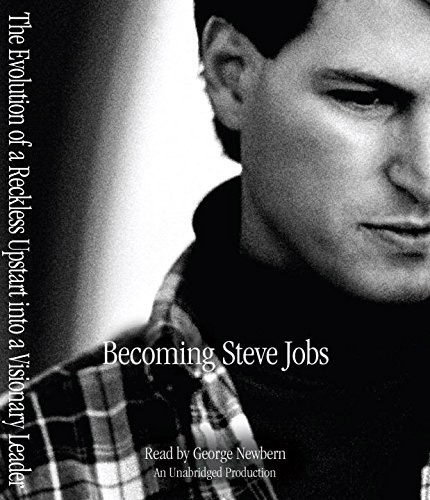 Accordingly, Becoming Steve Jobs is likely to greatly add to our perspective on the man. That's a great thing. But that doesn't necessarily detract from the unfiltered view of the man we got in Steve Jobs. That was a scholarly work, not a love letter, and I, for one, believe the legacy of Steve Jobs can easily withstand that unfiltered look into his life. One last note: if being annoyed at Steve Jobs was the spark it took to get his closest circle of lieutenants to speak out, I'm even more thankful for it.